The paper ‘Making-sense of large data sets without annotations: analyzing age-related correlations from lung CT scans’ by Dicente et al. 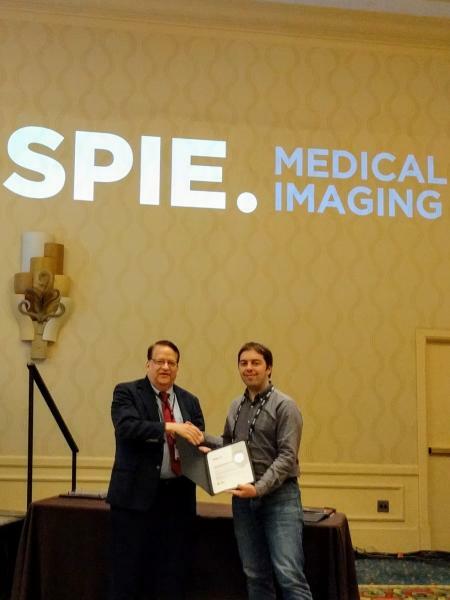 won the Robert F. Wagner Best student paper award for the track Imaging Informatics for Healthcare, Research and Applications. 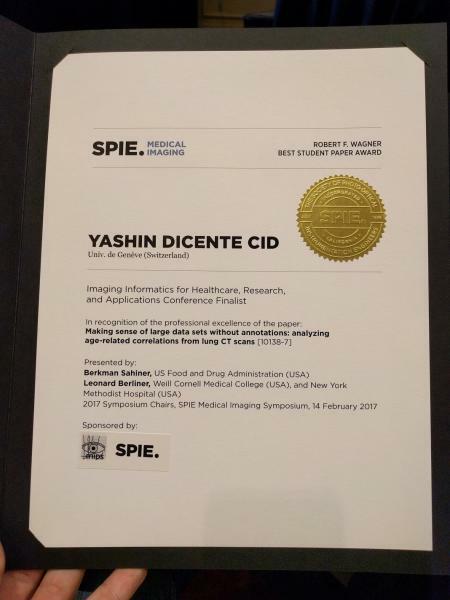 The paper can be found in our publications page.